STUPENDOUS 3-BED HOUSE! WITH SWIMMING POOL! You'll love this gorgeous 3-story country house! 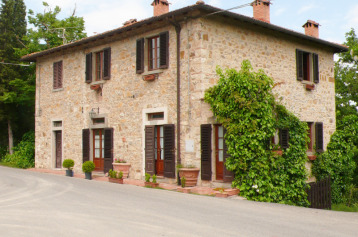 Located only 30 minutes from Florence and Siena. Situated in the heart of the Chianti Classico, a panoramic location with a scenic view of the hills and vineyards where some of the worlds best wine is made! 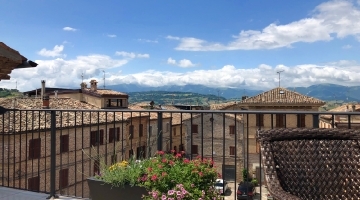 The property of 170 sqm, on three floors, has been RECENTLY RENOVATED with traditional terracotta flooring and wooden beams ceilings which will give you a great sense of comfort. This house gives you the opportunity to separate the ground floor from the rest of the house, giving the opportunity to rent it while living upstairs or vice versa. It is a GREAT INVESTMENT/RENTAL OPPORTUNITY! For instance, renting out the whole property could earn you 20-22.000 euros (in summer season - from May to September), while instead renting out only the ground floor could earn you easily 10,000 euros for the same period of time. Consists of a spacious kitchen, a bathroom and a large living room with a double window door leading to the garden. Has a decent sized kitchen, a small living room, a cozy study room, a double bedroom and a bathroom. Has two double bedrooms, a bathroom and another kitchen that could be easily converted into a spacious laundry. Finally a vast private garden of about 2000 sqm with a beautiful swimming pool gives plenty of opportunities for leisurely activities. 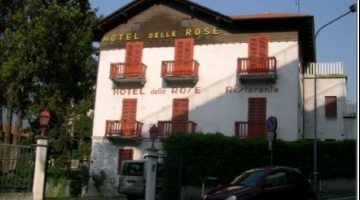 There is a renowned restaurant a step away from the house called `Osteria alla Piazza` which means that if you do not want to cook after a hard working day you could literally just take a minute walk and find yourself eating in one of Tuscany's best restaurants!